Nothing says comfort food quite like a bowl of soup. What’s even better is when it’s a bowl of delicious and easy instant pot broccoli cheese soup. I don’t know about you, but a cup of hearty broccoli cheddar soup is one of the finest recipes out there. 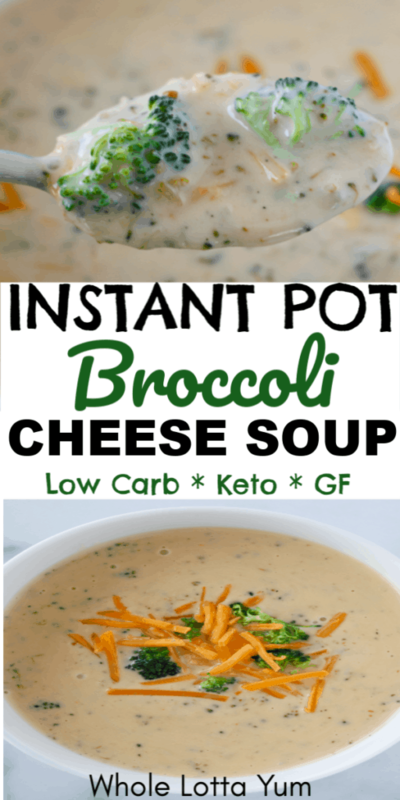 If you’ve ever had the Panera broccoli cheese soup–which is AMAZING!–This homemade instant pot version is even better! Not only is this delicious broccoli cheddar soup easy, it’s also low carb, keto, gluten free, sugar free and is also vegetarian (if using vegetable broth). You might be wondering how the pressure cooker broccoli cheese soup gets thickened. The secret here my friend is by using cream cheese as a thickener instead of flour or corn starch, plus using lots of cheddar cheese. Using whipping cream instead of half n half will also make for a thicker (and richer) soup. By skipping the flour and corn starch also makes this hearty soup low carb, keto and gluten free too. 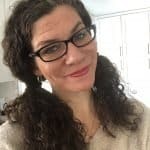 Swapping the chicken broth for vegetable broth is how you can also make instant pot broccoli cheese soup vegetarian. What’s so amazing about an instant pot is that it makes it a one pot meal by being able to cook everything in one pot. I’m a huge fan of anything that can be made in one pot since it makes after dinner clean-up so much easier. First of all, make sure to prep all ingredients in advance. 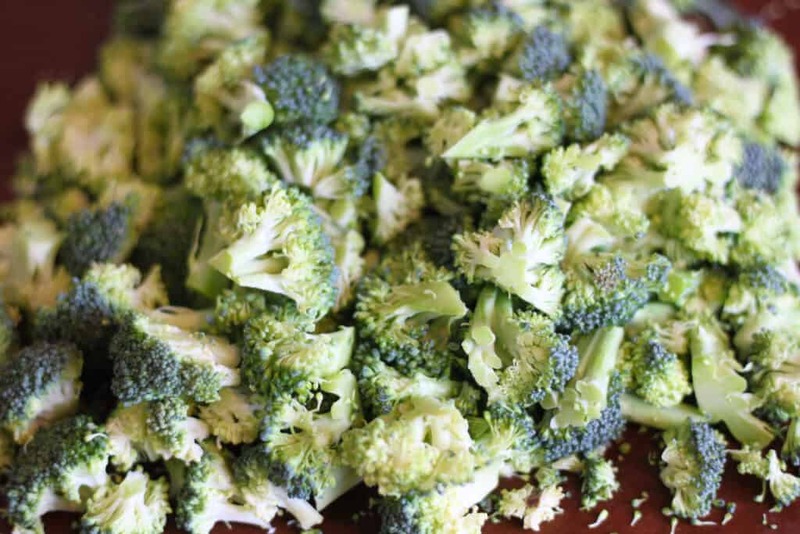 Things move fast with this recipe and you don’t want to start chopping your broccoli at the same time as trying to keep the butter from burning. We chopped our broccoli in very small bite sized pieces. Under pressure and after stirring, the cooked broccoli breaks down even further. You of course can leave your broccoli pieces whatever size you’d like, but we prefer really small pieces. 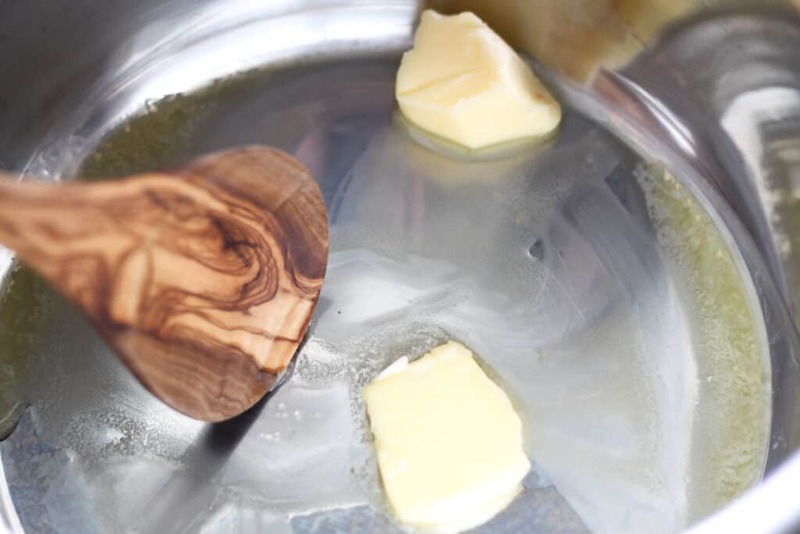 Turn your instant pot to saute’ and melt the butter on high. When melting butter on high I keep a close eye on the butter so it doesn’t burn. This isn’t a step I walk away from and work on other tasks. On a side note, I’m literally obsessed with gorgeous wooden spoons, this is the latest Olivewood spoon added to my collection and it’s from World Market– which in my opinion is the BEST place to buy kitchen goodies. 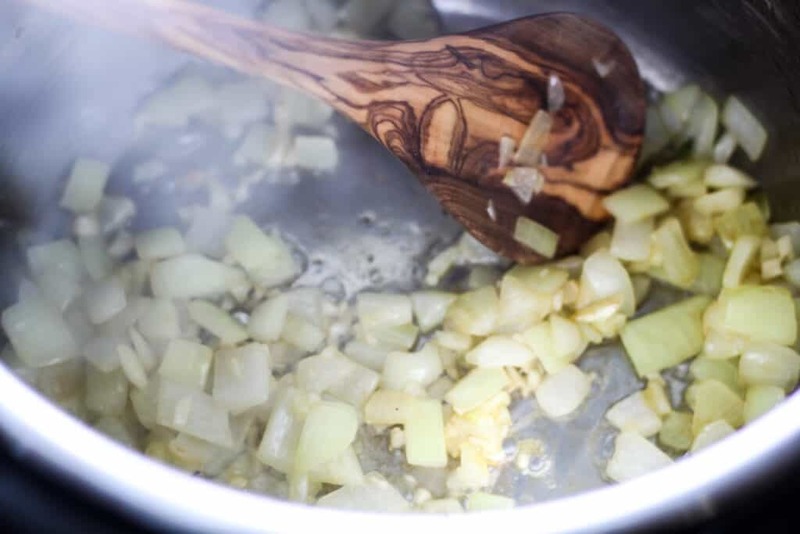 Add the chopped sweet onion and cook until soft, which will take 3-4 minutes. Add 2 minced garlic cloves and cook for 30 seconds until fragrant. We love to buy the frozen cubed garlic from Trader Joes, it makes adding garlic flavor to everything so easy. You just pop out the cube instead of having to mince your garlic cloves. Add the chopped broccoli, chicken stock, salt, pepper and cayenne pepper. Cook on manual (or pressure cook depending on your model) for just 1 minute. 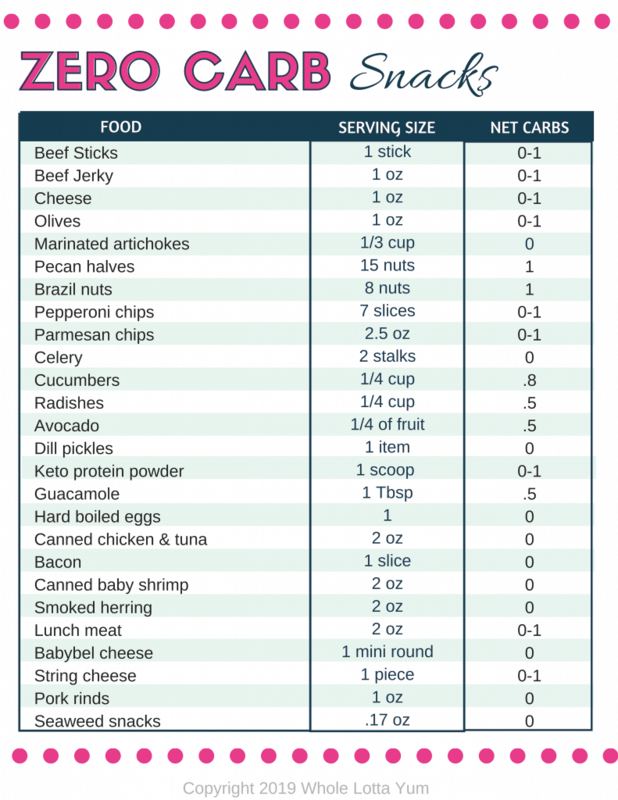 While cooking the ingredients for only 1 minute might seem surprisingly short, the ingredients are cooking while your instant pot is coming to pressure too. Add 1/2 cup cream cheese and stir into the broccoli mixture until melted. It’s important to do this before adding in the cold cream since it’ll help to reduce clumping. Add the 2 cups of heavy whipping cream (or half n half for a less thick soup) and sauté on high 5 mins until melted and heated through. Make sure to continuously stir, especially if you’re using half n half, since you don’t want the cream mixture to start to burn. Add the shredded cheddar cheese, 1/2 cup at a time and make sure it’s melted and combined before adding another half cup. This is key to make sure your cheese doesn’t clump. There’s some debate online on whether shredding your own cheese vs buying pre-shredded cheese makes a difference in how the cheese melts. It IS possible this varies by brand, but I used grocery store Kroger brand pre-shredded medium cheddar in this recipe and had zero issues with the cheese melting or clumping. Some brands of shredded cheese DO have a grainy texture, so while my pre-shredded cheese worked perfectly (and is what I had on hand when I made up this recipe), shredding your own cheese would ideally be best. In my opinion the main way to keep your cheese from clumping isn’t whether you shred your own cheese instead of using shredded, but it’s making sure to only add a little cheese at a time, and making sure it’s melted before adding more. Serve immediately and enjoy! 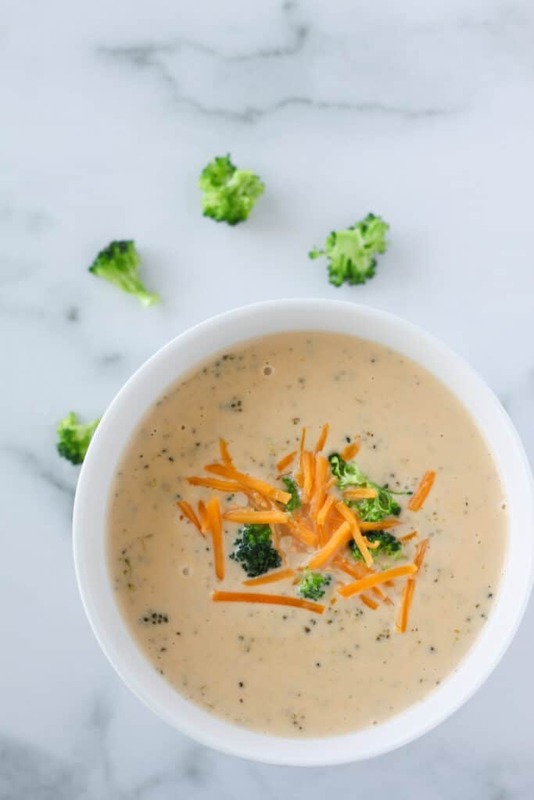 Extra steam broccoli, cheddar cheese or bacon all make wonderful garnishes, but eating your instant pot broccoli cheese soup plain Jane is simply divine too. This instant pot broccoli cheese soup is very rich and chock full of flavor. This is best served as a cup of soup on the side accompanying the main dish or served with a salad. Instant pot beef brats would be so heavenly on the side with this soup! The instant pot broccoli cheddar soup thickens up even more upon standing. After you refrigerate leftovers (if you have any! ), and go to reheat the soup, it’ll be thicker than when it first came out of your pressure cooker. To reheat the soup you can either reheat on medium low on the stovetop or reheat in your pressure cooker using the saute function on medium until heated through. Feel free to add extra chicken broth, vegetable broth or even a little water if the reheated soup is thicker than what you prefer. My favorite way to store instant pot broccoli cheese soup and any leftovers we have, is in glass storage containers. These are easy to stack and you can reheat your easy broccoli soup right in the container. 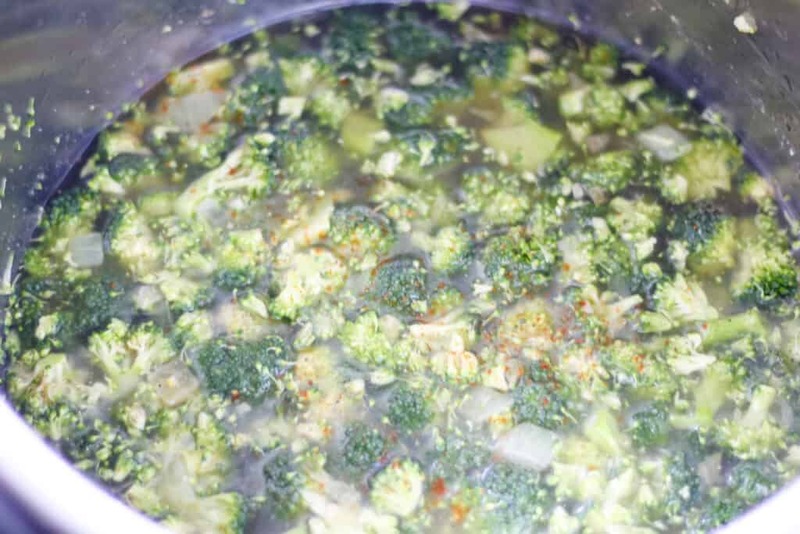 The cream of broccoli soup recipe will keep in the fridge for up to 5 days. 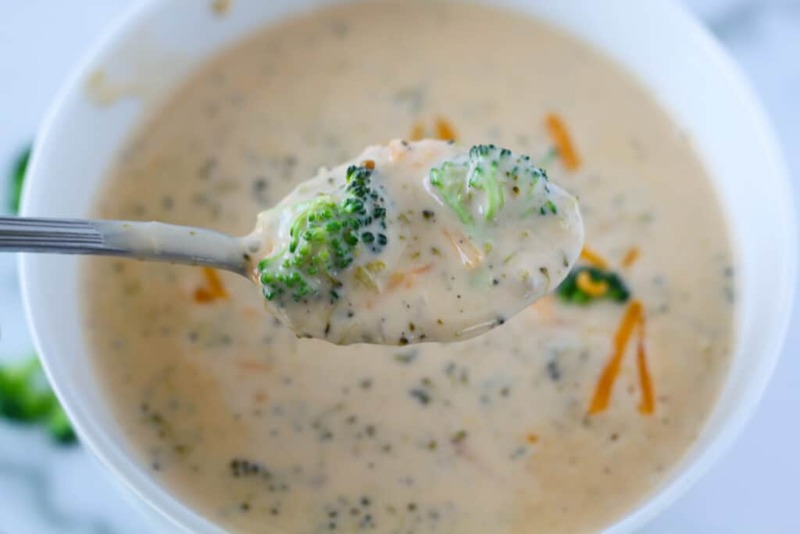 This easy broccoli and cheese soup recipe will surely become one of your family favorites! Even my non broccoli eating daughter loves this soup! 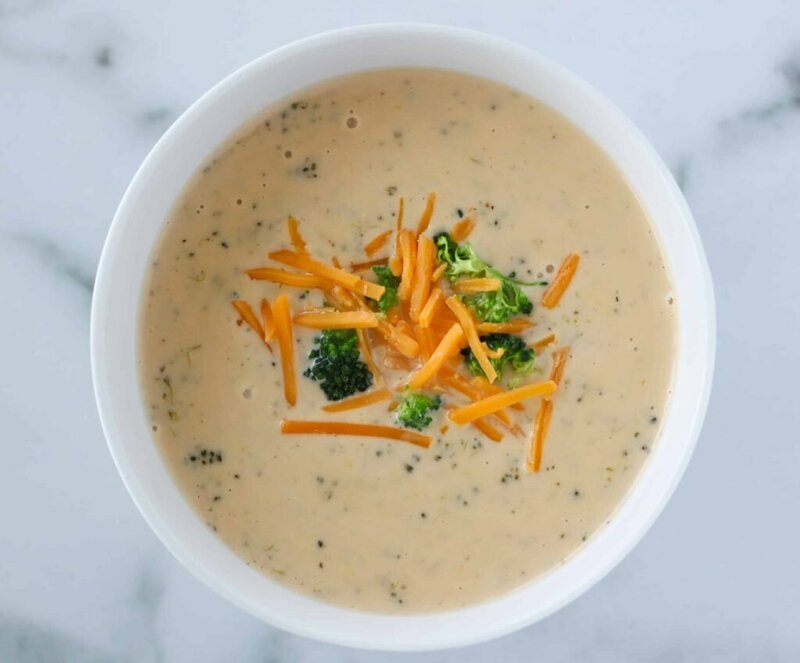 If you end up making our instant pot broccoli cheese soup, we’d love if you posted reviews below and added your images on the Pinterest pin. Be sure to pin this pressure cooker instant pot broccoli cheese soup post for later! This amazing instant pot broccoli cheese soup is the ultimate comfort food and is so easy to prepare with a pressure cooker. 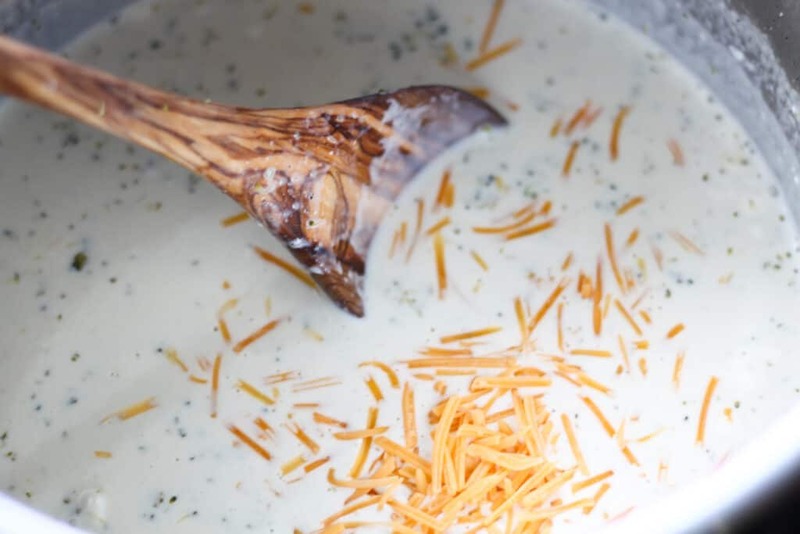 Broccoli cheddar soup will surely become a family favorite, plus it's low carb, keto, gluten free, and vegetarian too! Add the broccoli, salt, pepper, cayenne pepper, and chicken broth to the instant pot. Cook on manual high (or pressure cook depending on your model) for 1 minute. Immediately do a quick release.